I always wanted to create Jabba’s Palace but due to the size of it and the house I live in, it just would not fit. 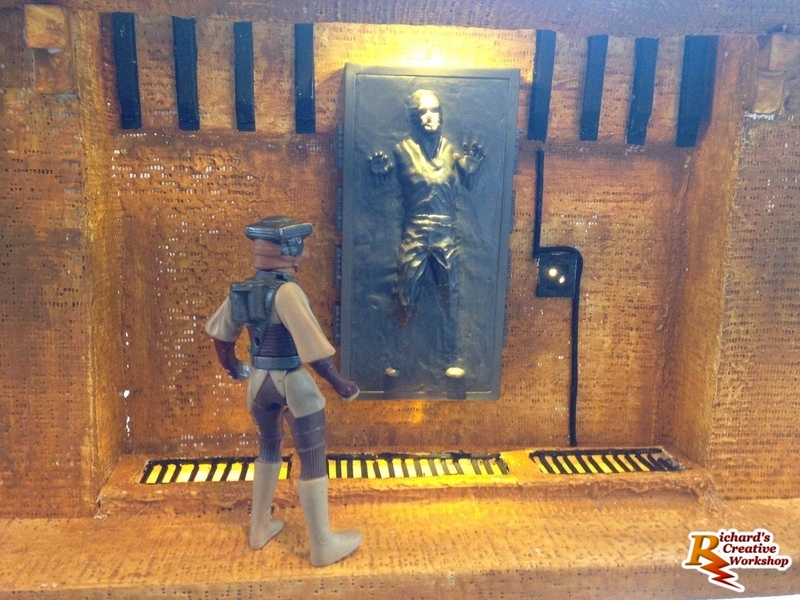 Instead I built Jabba’s greatest prize, Han in Carbonite. For my second diorama, I wanted to push myself further than just building boxes and covering them with decals. With this diorama I used fibre optics within the build.